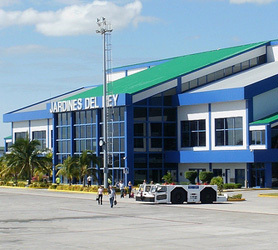 The closest airport which serves the first three Jardines del Rey Islands is the Las Brujas Airport (IATA: BWW,) its an airport actually on the island of Cayo Las Brujas, serving Cayo Las Brujas, Cayo Santa Maria and Cayo Ensenachos, which has domestic flights from/to Cayo Las Brujas, Cuba and is 0 km km from Cayo Las Brujas, 18km from Cayo Ensenachos and 28km from Cayo Santa Maria. For Cayo Coco, Cayo Guillermo and Cayo Romano the nearest major airport is Jardines del Rey International Airport (CCC / MUCC). This airport has international and domestic flights and is located on Cayo Coco, Cuba and is 7 km from the center of Cayo Coco, 3km from Cayo Romano and 13km from Cayo Guillermo. 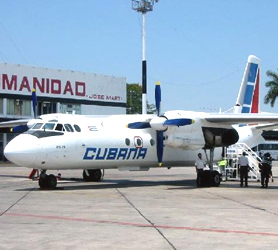 Another major airport is Ignacio Agramonte International Airport (CMW / MUCM), which has international and domestic flights from Camaguey, Cuba and is 209 km from Cayo Coco, Cuba. Finally, there’s the Abel Santamaría Airport (SNU / MUSC) has international and domestic flights from Santa Clara, Cuba and is 101 km from Cayo Guillermo, Cuba. 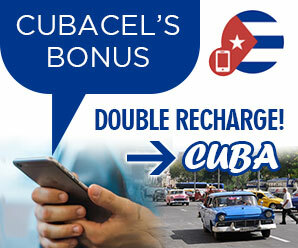 « Where is Jardines del Rey Cuba?